Theme parks are a summer staple. (Maybe more when you're a kid than when you're an adult, but still.) Roller coasters, bumper cars, wave pools, rising ticket prices, and $15 hot dogs are all part of the glorious experience. 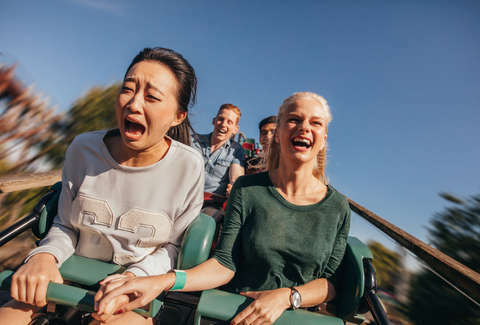 Despite the wholesomeness of seeing how much you can handle at Cedar Point or getting your picture taken with Mickey at Disneyland, it's no secret that there's a whole other side to amusement parks. However, you may not have a clear picture of what's involved with that "other side," save for brief glimpses of what it's like to play a character at a park or how people interact behind the scenes. A new Reddit thread on r/AskReddit asks current and former theme park employees to share "some dirty secrets that most people don't know about." The thread delivered tons of interesting -- if unverified -- stories that might make you look at your local park with fresh eyes. There are plenty of gross reasons, but sometimes rides get shut down for good (occasionally small) causes, apparently. Some people in the comments below this one said their park did a better job cleaning vomit than in the example given. But you already figured it was something like this, didn't you? This one may ruin your childhood memories of being a go-kart champion. Skepticism is warranted, but others in the thread say it was the same deal at go-kart tracks where they worked. There are some horrible stories in the thread. However, there are, thankfully, many park employees who cast a more positive light on parks as well. Many noted that, at least where they worked, water cleanliness is managed closely, lifeguards are well trained, vomit is actually cleaned up, and people care about the place where they work.